Today’s bike ride was to Mt. Washington in Los Angeles. 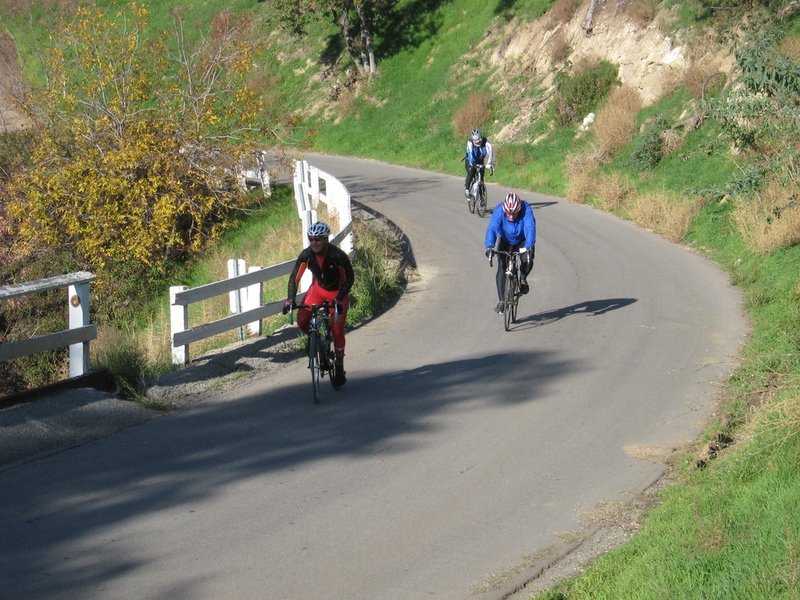 We started out from Victory Park and headed up into Altadena. 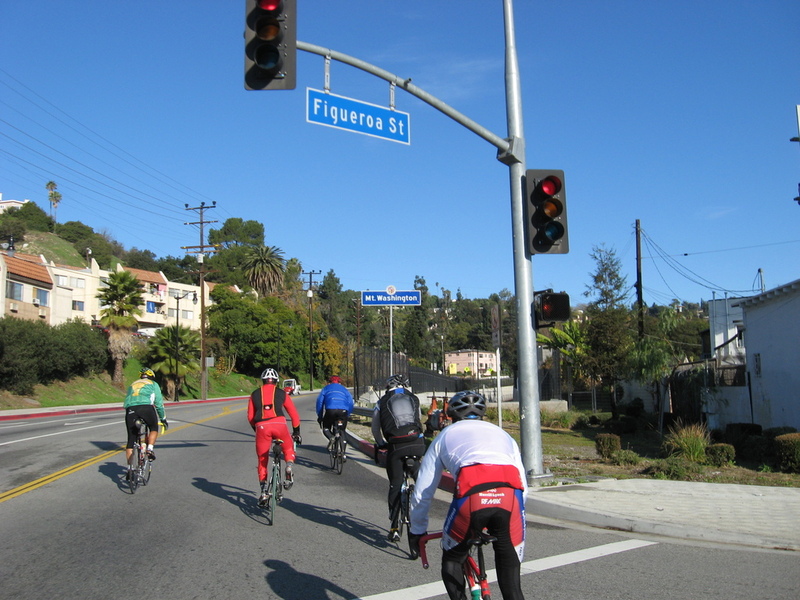 From there, we rode over into La Cañada and then down Verdugo Blvd all the way to Glassell Park. Then we headed up Mt. Washington. They repaved the road last year, and it’s really pretty nice now. 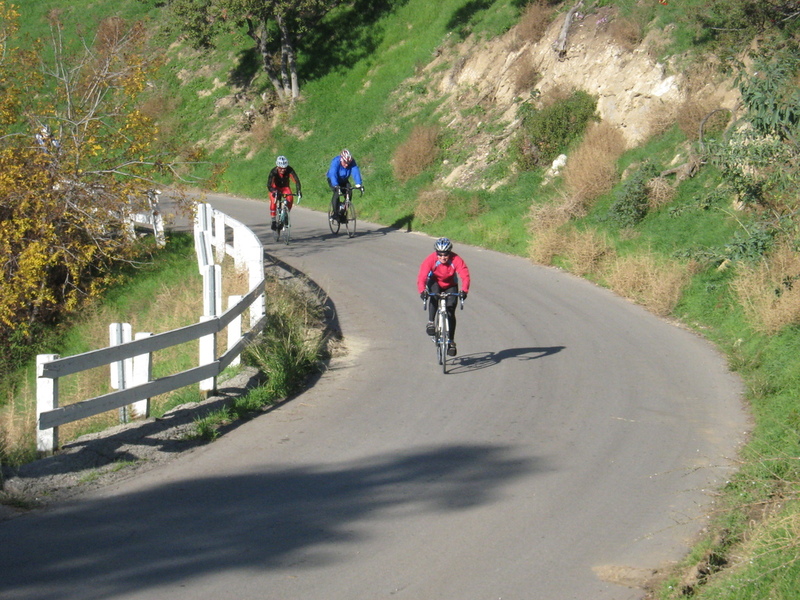 It’s a pleasant climb with some nice switchbacks. Coming down the other side into Highland Park, we headed north, back to South Pasadena. When we crossed the Gold Line railroad tracks, I got a flat. Fortunately, it was a slow leak, so I was able to make it to the snack stop at Kaldi’s before I had to fix it. Finally, we rode across San Marino and back up Sierra Madre Blvd to the park. It was a nice ride.